Win was 1st win and 1st podium for Marcus Gronholm. Second place was 33rd podium for Tommi Makinen. 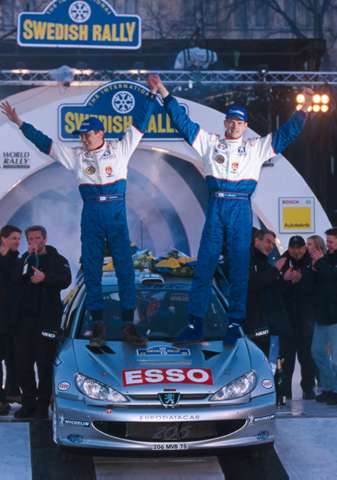 Third place was 28th podium for Colin McRae. Win was 22nd win and 44th podium for Peugeot. Second place was 65th podium for Mitsubishi. Third place was 132nd podium for Ford.